BluePath is recruiting for its strategic health economics and value communication function acting as both a modeler and data analyst. The position will be responsible for conceptualizing and designing economic models at an academic level suitable for publication. The models are primarily developed in Excel and R, with an emphasis on robust methods, clean and appealing visualization, and interactivity. The models or the results of the models are often used to inform important coverage decisions for major pharmaceutical therapies or medical devices. Modelers at BPS must have a strong understanding of Excel and R (and Shiny). A basic level of econometrics or statistics is preferred. While much of modeling is done with a specific aim in mind, the individual must be a self starting, energetic, and creative individual who can question assumptions and clearly explain their methods. Modelers at BPS have the opportunity to contribute new methods to the field of health economics. This position will allow you to develop your leadership skills by providing strategic and methodological direction to a small (n=1 or 2) team of modelers. The ideal candidate would have at three years of developer experience. The ability to be an excellent team player under tight deadlines coupled with the ability to tackle problems with imaginative solutions is a key to success in this position. BluePath Solutions develops solutions for pharmaceutical, medical device, and health diagnostic companies to help them understand, analyze, and convey the economic and clinical features of their products. The modeling team works on a wide range of models from traditional health economics (cost-effectiveness analyses) to more creative types of models (value-based pricing and price optimization). Our goal is to provide bespoke, dynamic, meaningful and robust analyses that meet the client's needs. Much of our modeling is avant garde given the industry's constant evolution and changing demands for different types of analyses and data cuts. Our primary technology platforms are Excel (the industry's dominant platform) and R (much of the industry is moving to R). The models are often disseminated via peer-reviewed publications, conferences, or field tools. Regardless of the method of dissemination, the models eventually make a difference in getting patients access to new therapies. 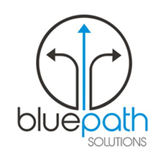 Want to get notified about new jobs at BluePath Solutions?